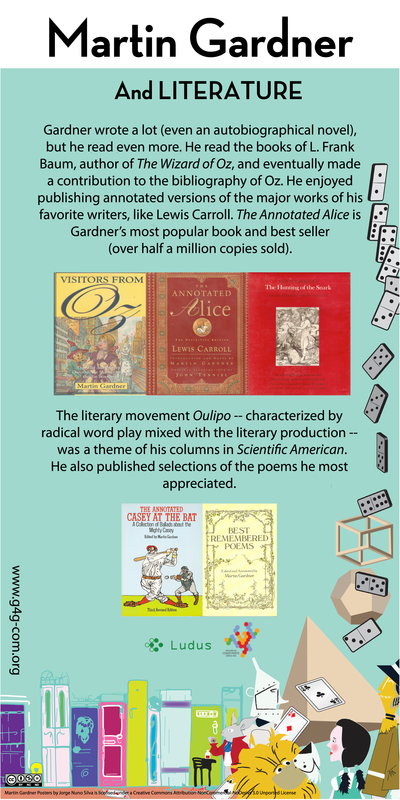 The Gift Exchange is an integral part of the Gathering 4 Gardner biennial conferences. Gathering participants exchange gifts, papers, puzzles and other interesting artifacts. There are two ways to participate in the Gift Exchange. Participants either prepare ~300 copies of a Physical Exchange item (typically a puzzle, magic trick, artwork, or other physical artifact) or they submit an Article or Paper to the conference Exchange Book. The G4G Exchange Book is for those who wish to submit papers as their gift and also for those who wish to include descriptions, instructions, solutions, etc. related to their physical gift. Copies of the G4G Exchange Books are published by the G4G Foundation and are distributed to conference attendees. 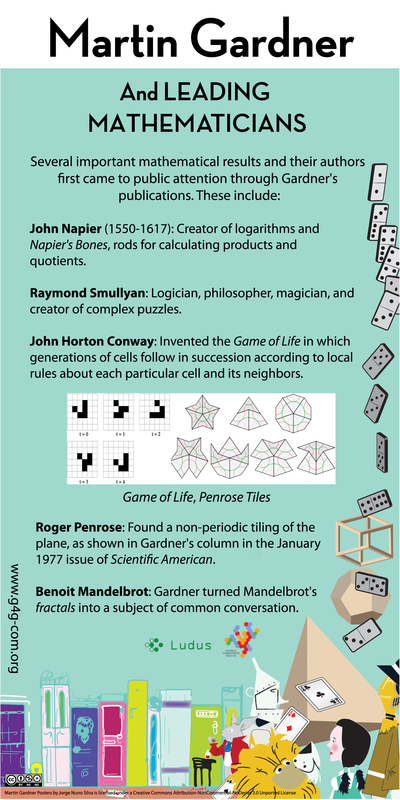 A Lifetime of Puzzles: A Collection of Puzzles in Honor of Martin Gardner’s 90th Birthday, Erik Demaine, Martin Demaine, and Thomas M. Rodgers (editors). (ISBN-10: 1568812450; ISBN-13: 978-1568812458). October 2008. 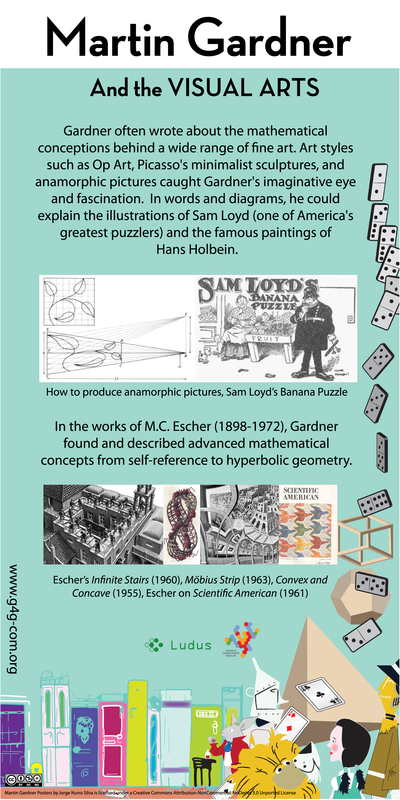 Homage to a Pied Puzzler, Ed Pegg Jr. and Alan Schoen (editors). (ISBN-10: 1568813155; ISBN-13: 978-1568813158). February 2009. 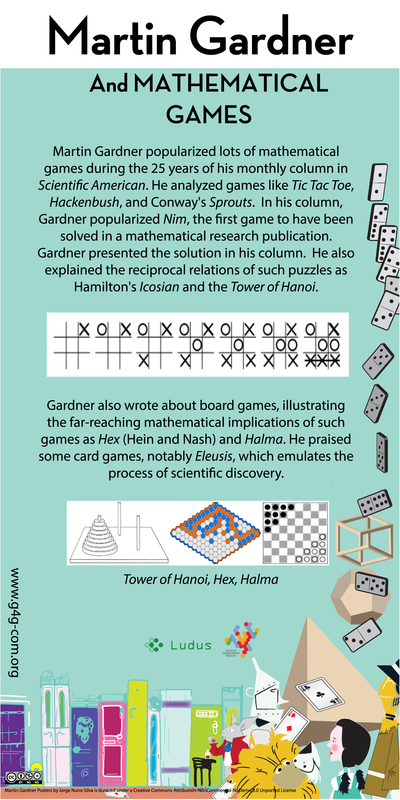 Mathematical Wizardry for a Gardner, Ed Pegg Jr. and Alan Schoen (editors). (ISBN-10: 156881447X; ISBN-13: 978-1568814476). April 2009. 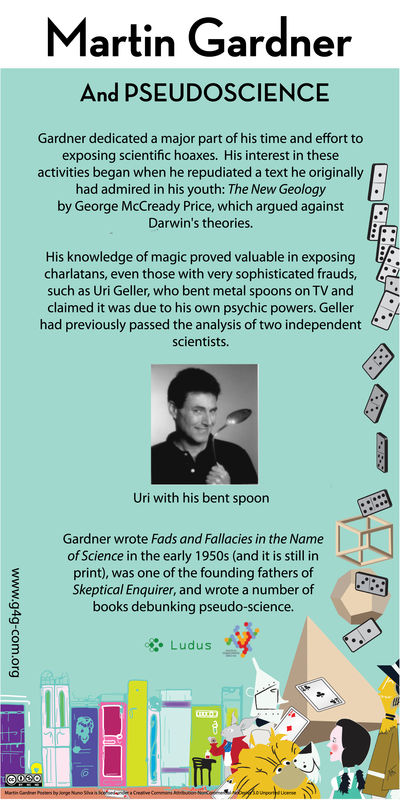 Puzzlers’ Tribute: A Feast for the Mind, David Wolfe and Thomas M Rodgers (editors). (ISBN-10 1568811217; ISBN-13: 978-1568811215). December 2001. 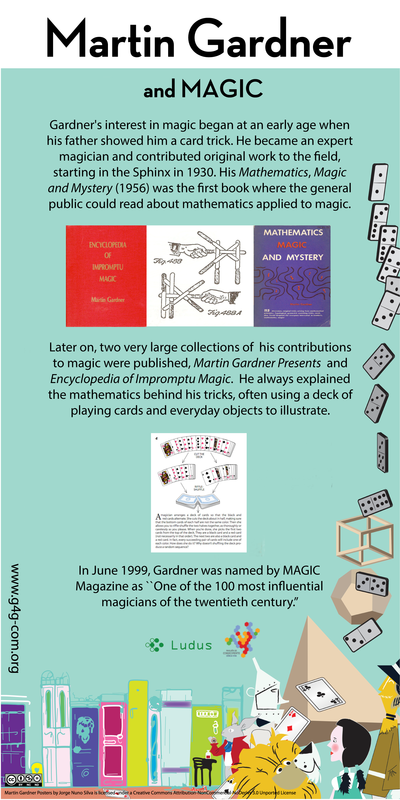 Tribute to a Mathemagician, Barry Cipra, Erik Demaine, Martin Demaine, and Thomas M Rodgers (editors). (ISBN-10: 1568812043; ISBN-13: 978-1568812045). November 2004. 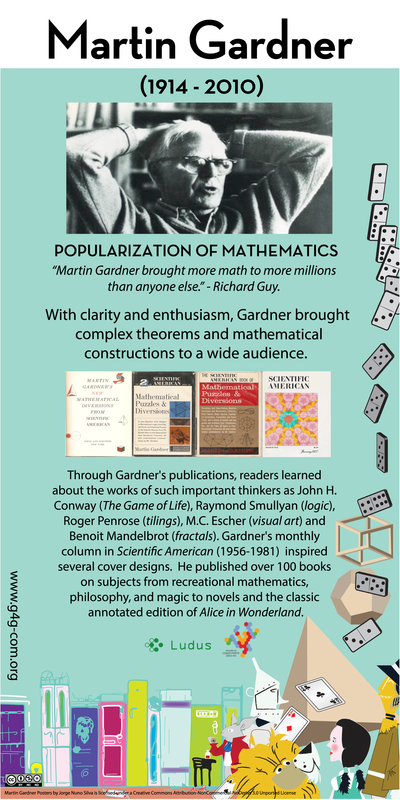 The G4G Foundation is pleased to offer a series of Martin Gardner posters for download. The PDF files above may take a few minutes to download.